Liver cancer is the sixth most common cancer and the second leading cause of death worldwide. Only 30–40% of patients are candidates for curative intervention at the time of diagnosis, and up to 70% of those who undergo curative resection will recur. 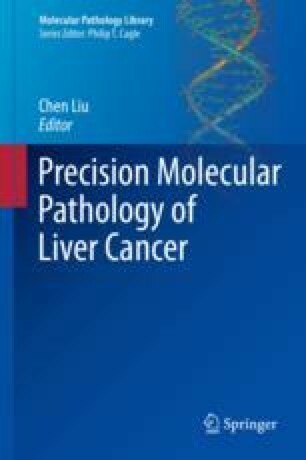 Cytotoxic chemotherapy in advanced disease is not effective and is often limited by concomitant hepatic dysfunction. Sorafenib, a multiple kinase inhibitor, is the only therapy to have shown an overall survival benefit that is only modest at best. Thus, there is a large unmet need to develop additional therapies. In recent years, a diverse array of phenotypic and genetic alterations have been identified in HCC patients. Following these advances, several phase III studies with therapies targeted toward these alterations have been conducted; however, none has shown a survival benefit. It remains to be seen if this new understanding in these alterations can be translated therapeutically. In this chapter, we will discuss these alterations, as well as the developing therapies targeting them.